Not clear enough to read the registration. Picture is from May 2011, so it's got to be one of their Boeing 737-300s, of which they've had three. Still confused as to why there's no airline text on it. I thought it might be because the plane is changing owners and they hadn't had time to repaint it fully, but looking at the airlines' history, nothing lines up. The ship in the wet dock is the AIDAperla, the newest cruise ship of AIDA Cruises. Still can't figure out this plane. It clearly looks like it's ID is N9092U, but that doesn't match this. It's also not N90920, N9D92U, N9092D or any variation of that I can find. There's even more if you turn the camera around. Probably 100s of them! Google Maps gets new imagery slower than Google Earth (i.e its visible in GE now but not yet GM). Nice find! This is Lady Penelope, Virgin Atlantic's very first Boeing 747-400, which was taken out of service and dismantled in 2016. Yup - it's Malaysia, thanks! Their new livery threw me off. Actually just noticed - it comes in and then immediately takes off again! That's INS Vikramaditya, not the Kuznetsov aircraft carrier. Pretty sure it's an F-16. Not sure what it's called, but the fin on the back, F-15 has 2, F-16 has 1, like seen here. Just got back to working on my airlines in flight file. Nice find! Thanks guys! Saw a weird blob in the sky and at first thought it was one of those things on electric lines but followed it all the way down to this image. Wrong identification. The cargo plane has no windows. Aerolineas Argentinas into Jorge Newbery Airport. 2 votes rating 1.5? Does someone like really hate me or something? All my recent finds are getting crazy low votes. If you don't want me to post my finds here I'll gladly not. Pretty sure it's an oil tanker. I always have to guess a bit and look at google image searches for identifications, and the only difference between the WC-130J and C-130J I saw was the fuel tanks between engines, and the right wing here looks like it has something between the engines (so 3 things on that wing). But, I'm nowhere near an expert so it's good somebody double checked. Pretty sure it's actually a sun dog not a halo. There's how the photos are taken underwater. Very nice! 6 at once in the air is awesome. Nice find! 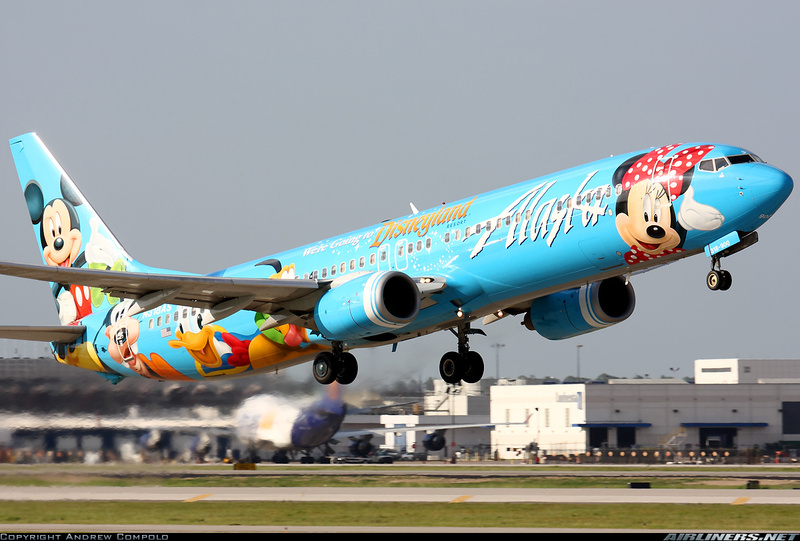 That's an Alaska Airlines Boeing 737-900 with the special livery "Spirit of Disneyland II"
One of the two Japanese shore batteries on Tarawa which mounted Japanese Type-41 200mm guns built in England in 1908. During the US assault of Tarawa in November 1943, this gun mount briefly engaged American Destroyers and Battleships closing in on the island before it was knocked out by fire from the USS New Mexico (BB-40), which scored a direct hit on the guns barrel with a 14-inch shell. Those are parrotfish: the red/brown ones are female and the blue ones are male.